Ultimately, it’s probably fair to say that everyone here has been enchanted by rattan furniture production. 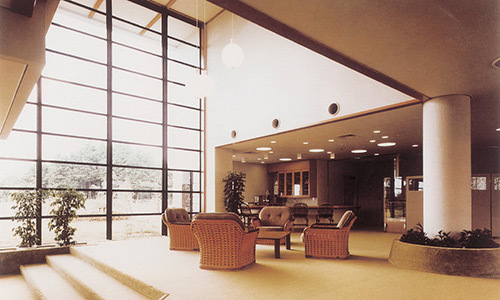 We have been producing rattan furniture here in Nagaoka since my grandfather’s generation. I was watching the scene from a young age. Whenever I returned home, artisans producing rattan furniture were silently engrossed in their work. For me, that was a highly normal everyday scene. After leaving senior high school, I went on to a computer-themed technical school, but I felt that this wasn’t the path that I should be taking, and when I put my concerns to my father, he told me to help him with his work, which is how I started producing rattan furniture. At the exact same time, a classmate from my senior high school days who was studying architecture in Tokyo learned that the famous wicker chairs he had been studying were produced by YMK Nagaoka, and he came to the factory and said that he wanted to work with us. The senior artisans at that time, including my father, taught staff member Wada-san and I how to make rattan furniture from scratch. Through a measure of good fortune, we progressed and today I am our representative, having inherited my father’s occupation. Every day, I am absorbed in producing rattan furniture together with my wife and 5 members of staff. 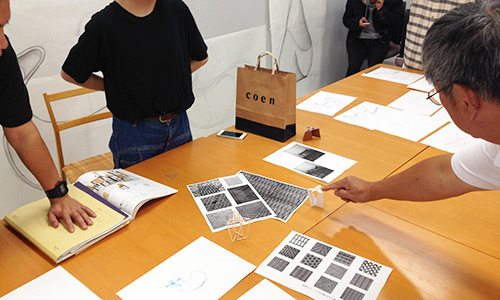 The enthusiasm of excellent designers has enhanced YMK Nagaoka’s “art”. 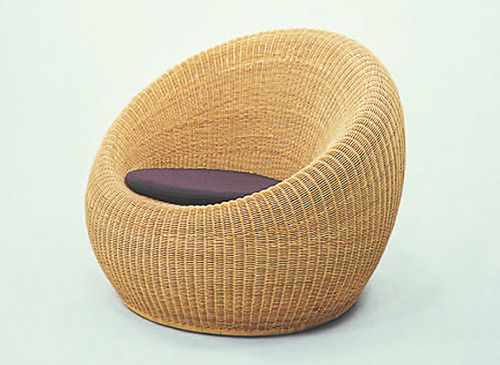 This company’s predecessor, Yamakawa Rattan, worked together with a group of leading Japanese modernist designers including the likes of Isamu Kenmochi, Riki Watanabe and Kappei Toyoguchi, to drive the 1960s rattan furniture boom. At one point the company had 70 or 80 artisans working for it. “Responding to designers’ ideas and sensibilities with artisans’ skill and wisdom”: in other words, we will produce items for which there is demand from customers and the time period while artisans and designers face each other. I believe that this attitude of diligent application has enhanced YMK Nagaoka’s “art”. This is also an asset - our company’s greatest strength. The only way is to make connections by producing good items and doing good work. Even today, hotels and ryokan throughout Japan use our wicker chairs. Sometimes, guests are so impressed by their design and level of comfort that they say, “We’d like to have the same chairs” or “We’d like to see where these chairs are made.” For us as manufacturers, there is nothing greater than hearing such words from customers. Although we are faced with many problems such as the future of management and a lack of successors, as artisans we can only connect to the next step and the next generation by continuing to produce furniture that will be used by customers with great attachment. Our mission is to continue producing good items and doing good work. We are always looking to challenge in new ways while also inheriting traditional manufacturing methods from the pioneers. In order to protect and nurture the culture/industry of rattan furniture going forwards, we must always challenge in new ways while also inheriting the technologies amassed by senior artisans. 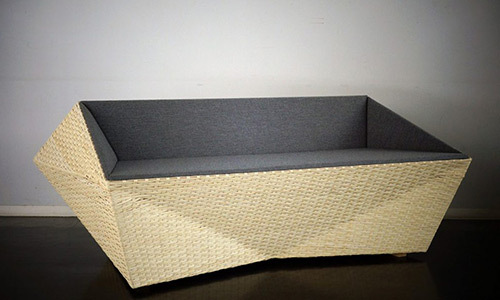 Specifically, we want to progressively pursue the potential of rattan furniture in the development of products that combine rattan with other materials such as metal, cloth and plastic, etc., displays at business meetings and exhibitions, etc., exchanges with other types of industry, and conducting PR and proposals for young designers and architects, etc.